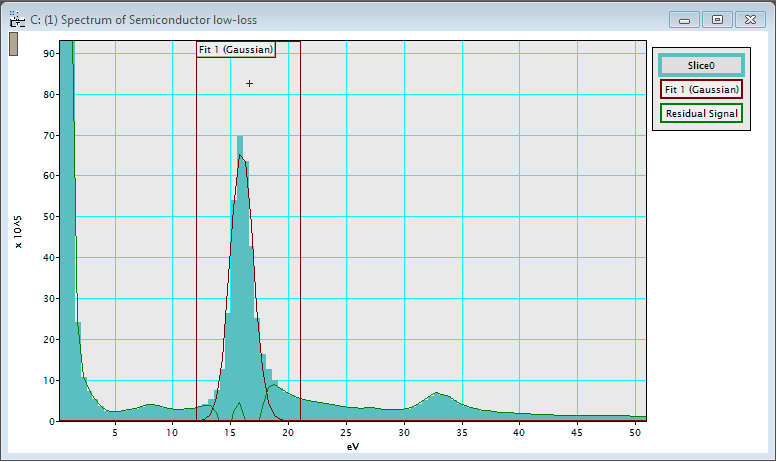 Once acquired, you can treat a 3D electron energy loss spectroscopy (EELS) dataset \(I(E,x,y)\) as a collection of spectra or sequence of images irrespective of acquisition mode. You can apply conventional electron energy loss spectral processing techniques (e.g., Fourier-log deconvolution, elemental mapping), image processing (e.g., jump-ratio imaging, MSA) or progress to use more advanced analysis techniques. 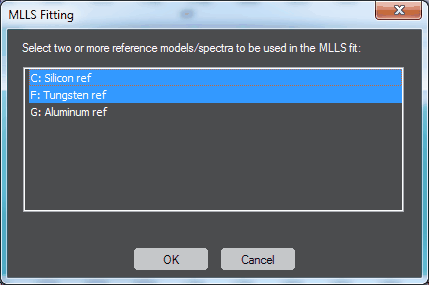 You can use the multiple linear least squares (MLLS) method to fit a number of reference spectra and/or models to a spectrum. The reference spectra can be fitted as a linear combination. 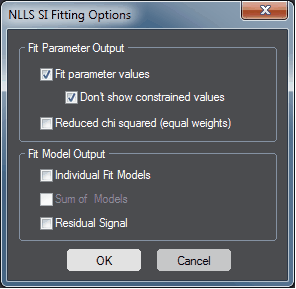 Non-linear least squares (NLLS) fitting involves fitting models to spectral features to quantify the spectral peak properties. Non-linear refers to the models being functions, rather than static references (c.f. 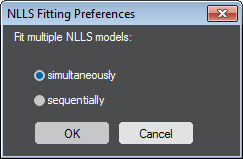 MLLS fitting). 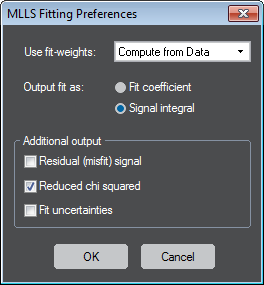 The NLLS fitting tools within DigitalMicrograph® software allow you to fit one or more Gaussian peaks to a spectrum. 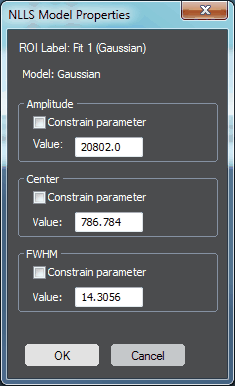 Once fitted, the fitting parameters can be output (amplitude, center, height). You can apply the peak fitting to an entire spectrum image, hence fitting parameters can be shown as 2D maps. This provides a powerful tool for mapping peak shifts in a spectrum image. Leapman, R. D.; Swyt, C. R. Separation of overlapping core edges in electron energy loss spectra by multiple-least-squares fitting. Ultramicroscopy. 26:393 – 404.